Looking to Finance Your Next Project? We Offer Flexible Payment Plans! Serving Michigan for Over 60 Years! We provide 24 Hour Emergency Back-up Services! Our goal is to provide complete customer satisfaction for every job that we perform. Our reputation is of utmost importance to us and we pride ourselves on the referral business that we currently have. 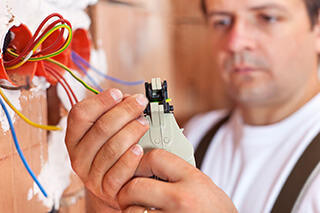 Our experienced electricians handle a wide application of home wiring services. Professional sales & service for all your generator needs, residential & commercial. 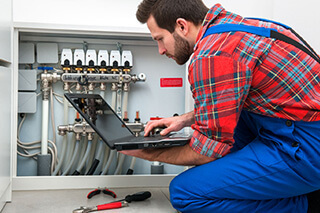 If your electrical system must be changed, get it done right, contact us today! 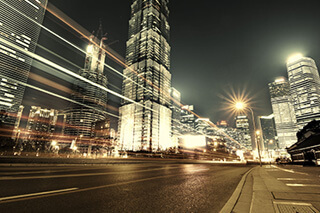 Electrical code upgrades, that meet and exceed today’s standards. 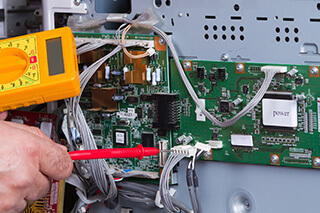 Offering service maintenance electrical services throughout Michigan. Time, weather, & wear can deteriorate electrical parts, we can help! 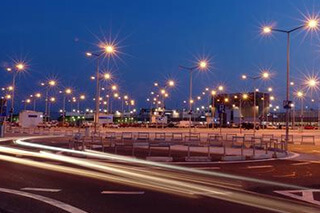 Electrical Contractors specializing in parking lot lighting systems. Are you looking for a top rated electrician? Bratcher Electric has over 60 yeas of professional experience. Let us help you today! Your crew was the best that could be asked for. Very polite, they worked as a team, extremely knowledgeable and answered every question plus more. The installation was as neat as you could ask for and when they left the job site it was as neat and clean as when they arrived. Let your crew know they were appreciated and take them out to lunch – They Deserve It!! Mike D.
Dear Karen, you are definitely a great asset to Bratcher’s business. It was such a pleasure to talk to you while we went through the installation of our new generator. You were very patient and helpful during this process and took the time to answer all of our questions. Everyone was so nice and professional. We had a great experience with your Company. Thank you again! Michael D.
Bratcher Electric has the experience and knowledge to make sure your home or business is operating at the highest level of reliability and safety! When it comes to up-time, our services are unmatched. Every job undergoes a rigorous inspection and testing to ensure optimal performance. Whether you are home or away, our Electricians are available throughout Wayne Michigan and beyond. Rest assured our electrical contractors are here to help you, when you need it most! 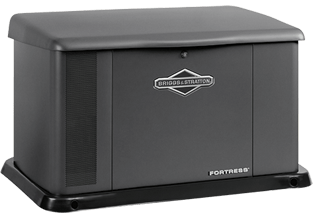 We offer many electrical services, including stand-by generators. 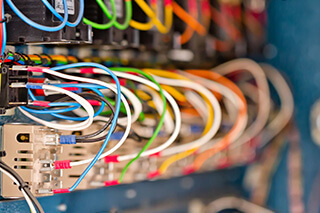 Contact our experienced electrical contractors today. From sales, permits, installation and service – we got you covered! Our reputation is of utmost importance to us. We pride ourselves on the referral business that we currently have, and look forward to work with you!